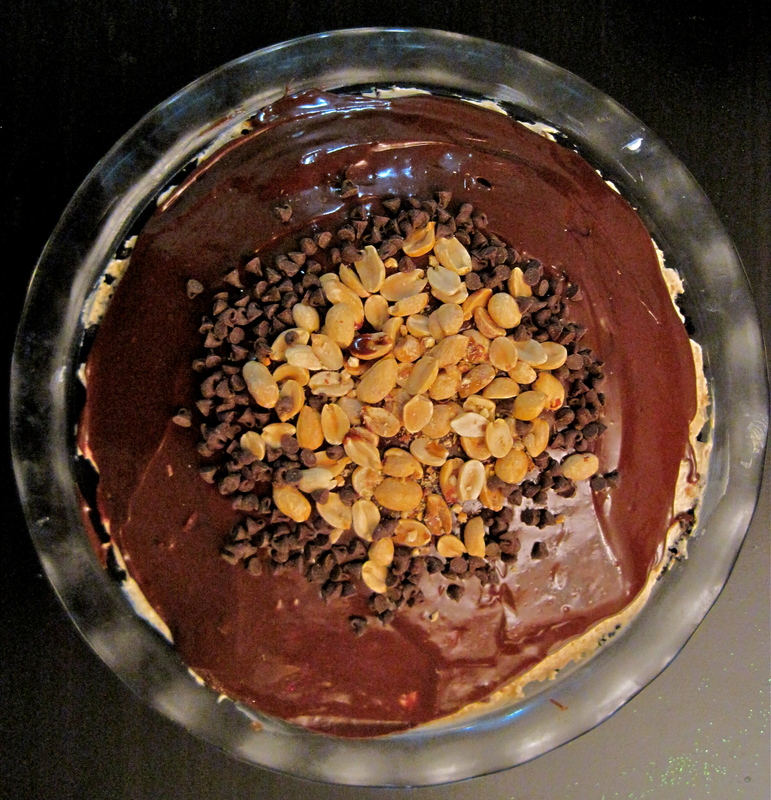 Chocolate-Peanut Butter Mousse Pie and My Birthday! This post is dedicated to birthdays. Big birthdays (Yay, 50! You are finally over that hill) and small (20! Woohoo! Let’s go out for some… cider? ), old birthdays and new birthdays. Today happens to be my birthday, but there are several other fabulous people in my life all turning a year older this month. I’ve been planning to make a special treat for my big day for months, ruminating over all kinds of recipes, and attempting to find the perfect one to satisfy my sweet tooth. I came across this recipe on Brown Eyed Baker (originally found in Dorie Greenspan’s cookbook) months ago and knew that I it would be in my future. It has peanut butter, it has chocolate, it has Oreos, it has a whipped cream-cream cheese mousse filling. Basically, this dessert was made for me and the day of my birth. This pie is a cacophony (look Mom and Dad, college is paying off!) of fabulousness. 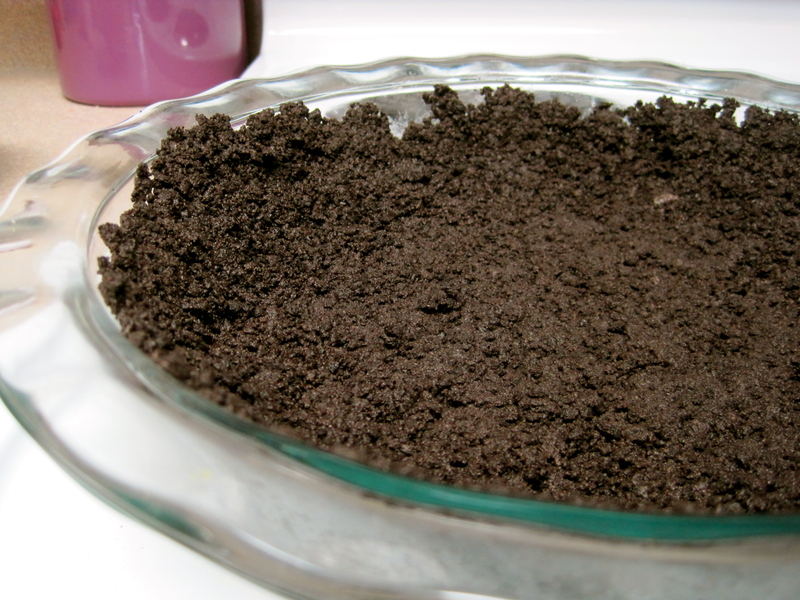 Oreos make a delicious cookie crust. Plus, they are super fun to eat while preparing the crust. 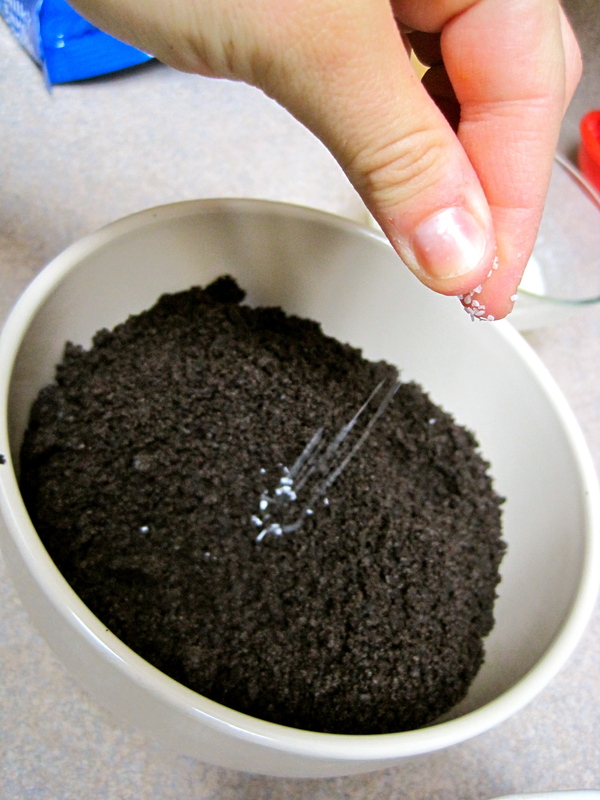 A bit of salt, followed by melted butter, is added to the ground Oreos. It adds an ever so slight salty-sweet contrast. If you could smell this crust right after it got out of the oven, you’d be drooling. True story. Super tasty crunch mixture with espresso, cinnamon, and a hint of nutmeg. Espresso powder is an excellent addition to any dessert with chocolate if you want to enhance the chocolatey flavor. 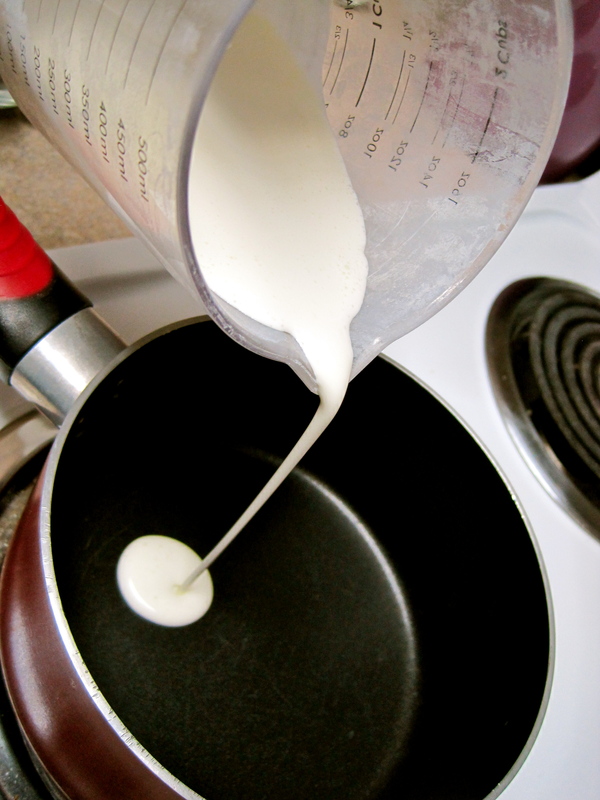 So what is a medium peak of heavy cream? Basically, it holds it’s shape, but as you can probably tell, looks really soft. Powdered sugar is then added for some sweetness. Real whipped cream. This is legit. Medium-firm peaks will definitely hold their shape and will also stick to the spatula! 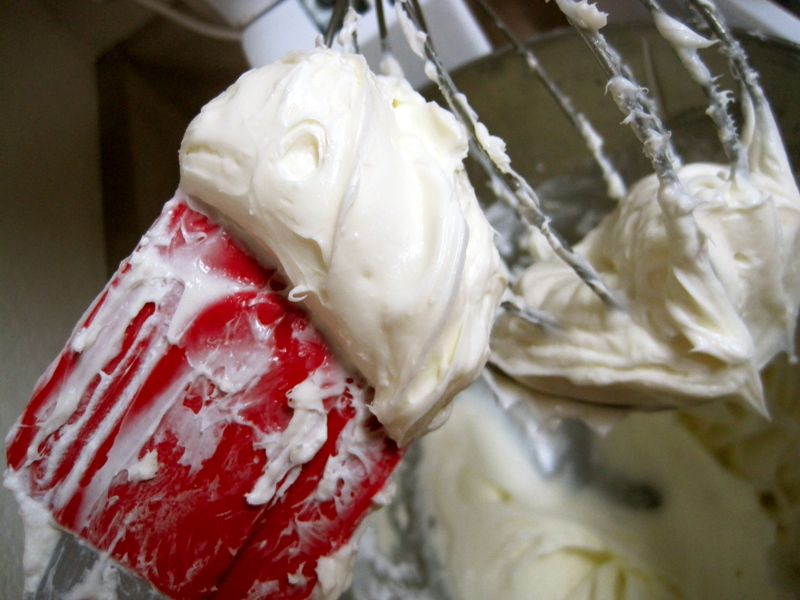 Cream cheese is whipped with powdered sugar until it is glossy and shiny and lovely. Resist the urge to eat it now. It will get even better! It’s important that it’s at room temperature before you whip it. That way you won’t have any clumps. 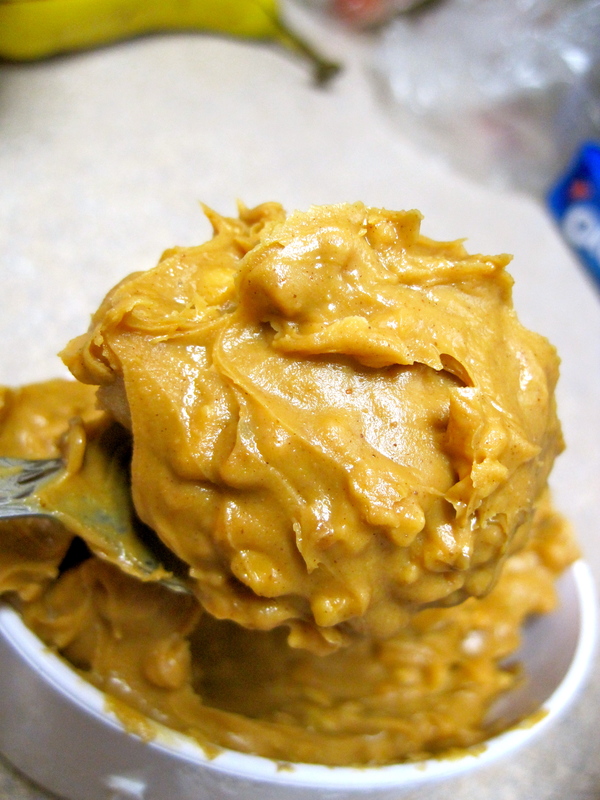 The recipe that I used recommended creamy or crunchy peanut butter. I opted for extra crunchy peanut butter and omitted some of the peanuts in the original recipe because I thought it was peanutty enough. If you decide to use creamy peanut butter, I would definitely recommend adding an extra half cup of roasted, unsalted peanuts for texture. This isn’t the most attractive picture, but it gives you an idea of the thickness of the peanut-butter cream cheese mixture. 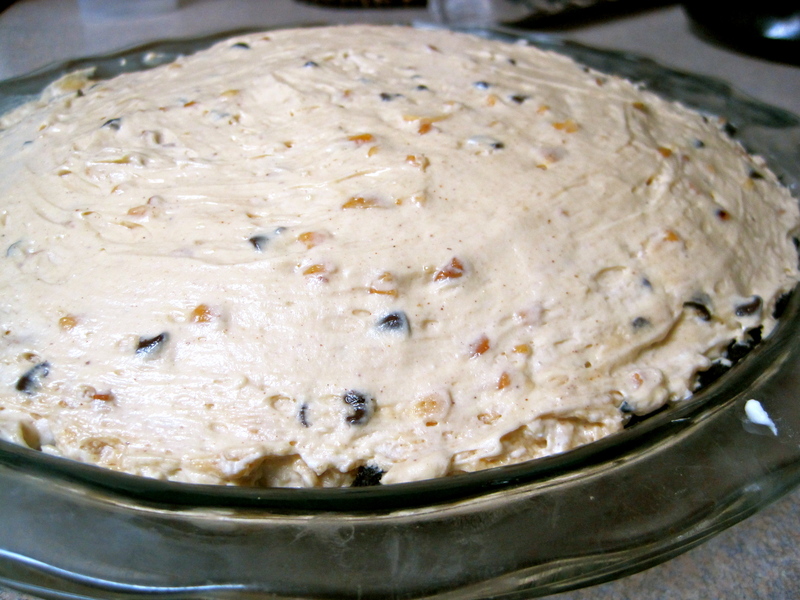 It is pretty thick, but once you add the whipped cream, it becomes super light and airy. Trust me. I am now a year older. 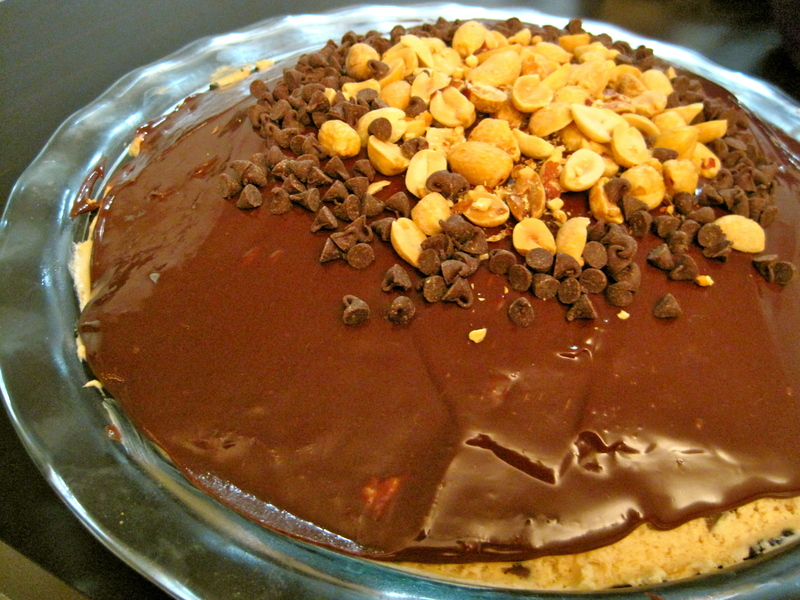 At this point, I could probably eat the pie just like this: creamy mousse, chunky peanuts and chocolate chips, chocolate Oreo crust. Bus alas! You are forgetting the dark chocolate ganache topping! Ahhhhhh. Heavy cream. This is the real deal. 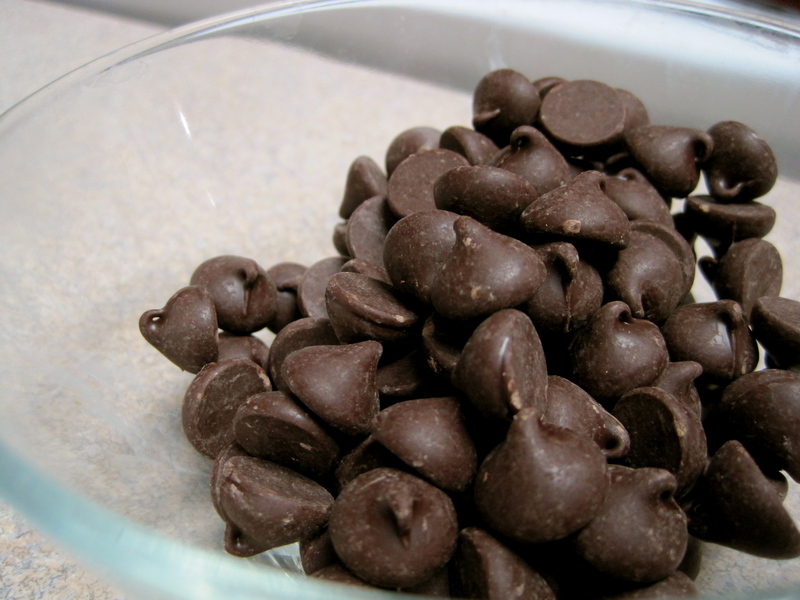 And dark chocolate chips. This is an even real-er deal? In a pot, they make ganache. Thick, chocolate amazingness. We get crazy with extra peanuts and more mini chocolate chips. We don’t do desserts half-way here. Preheat oven to 350 degrees F. Butter a 9 in pie dish, set aside. 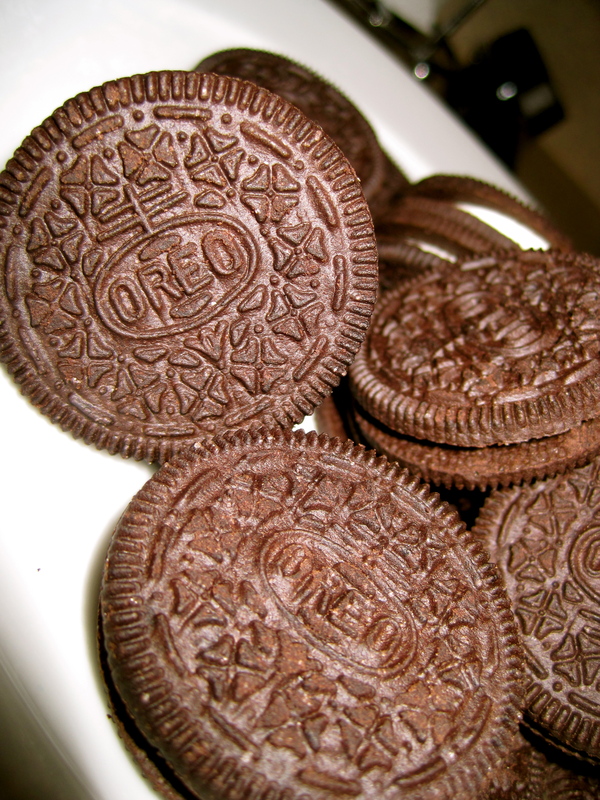 In a bowl, combine crushed oreos, butter, and salt. Mix with a fork until combined. Press mixture into prepared pie dish. Freeze for 10 minutes. After freezing, place crust in oven and bake for 10 minutes. 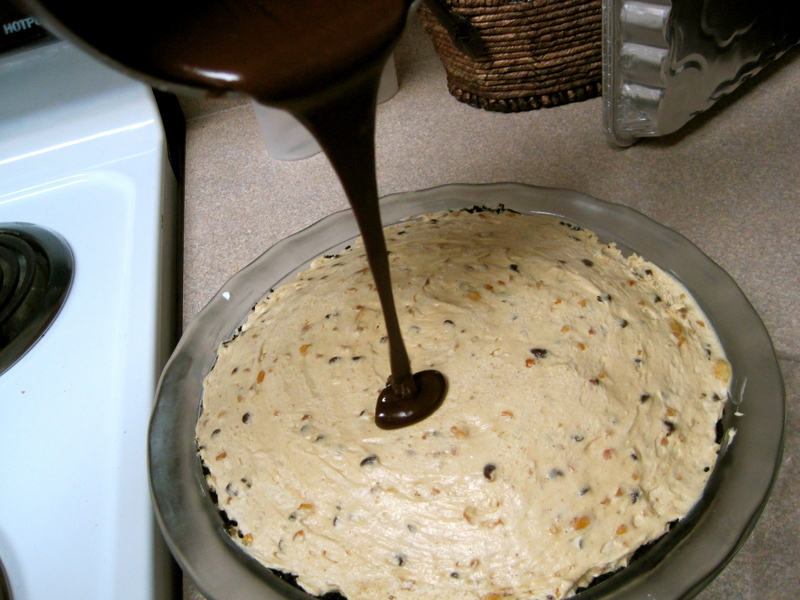 Remove from oven and let cool completely before adding filling. 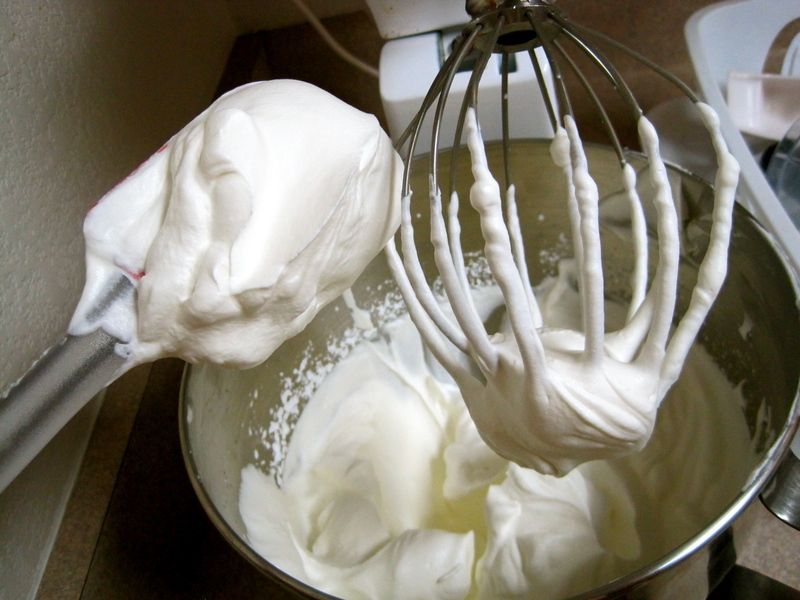 With a large rubbing spatula, carefully fold in about 1 cup of the whipped cream. 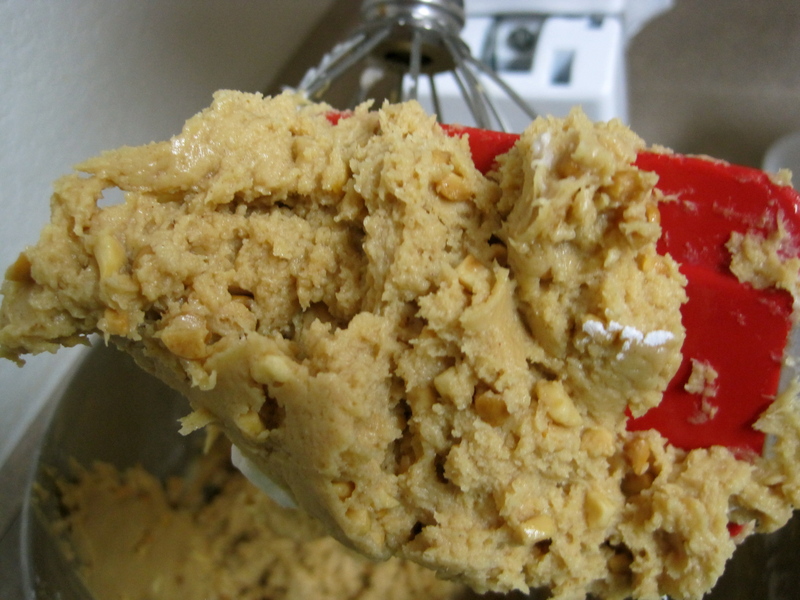 Add the crunchy peanut mixture. Fold in the remaining whipped cream. Add filling to the prepared pie crust (there may be a bit extra left over depending on the depth of your pie dish. If so, eat with Oreos and whipped cream) and smooth with rubber spatula. Refrigerate for at least 4 hours, or overnight. Finishing the pie: In a small saucepan over medium-high heat, heat 1/2 cup heavy cream to boiling. Keep an eye on it as it usually bubbles up quite a lot. 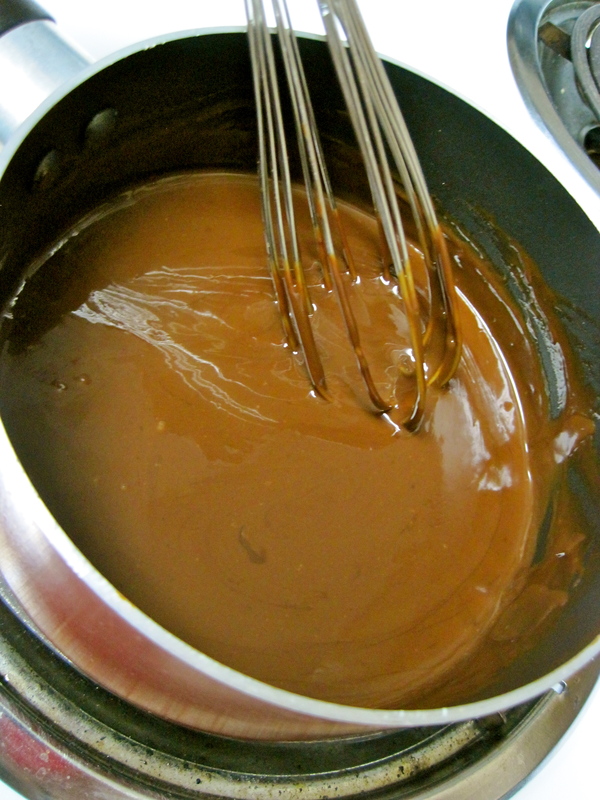 Once it boils, remove from heat and add the 4 ounces of dark chocolate. Cover saucepan and let sit, undisturbed, for five minutes. 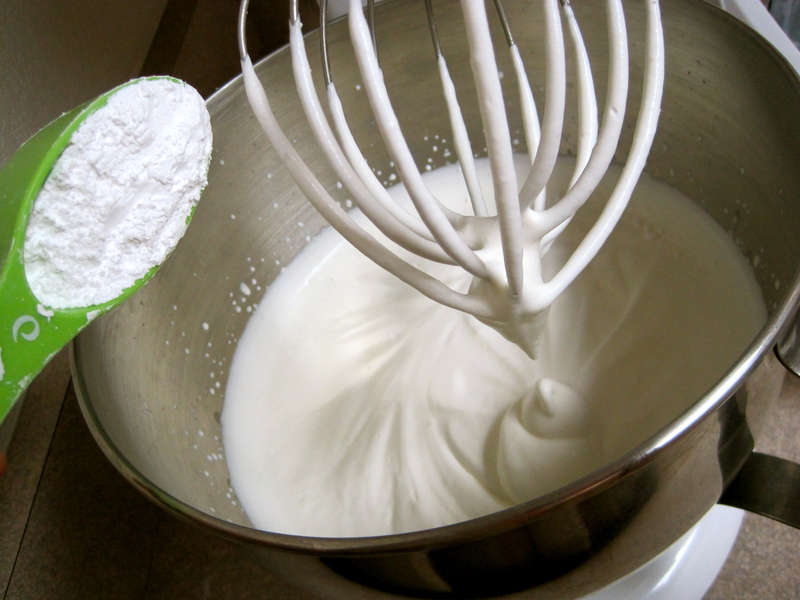 After, mix with a whisk until smooth. Let cool slightly, about 20 minutes. Remove pie from fridge. Drizzle slightly cooled chocolate ganache over pie. 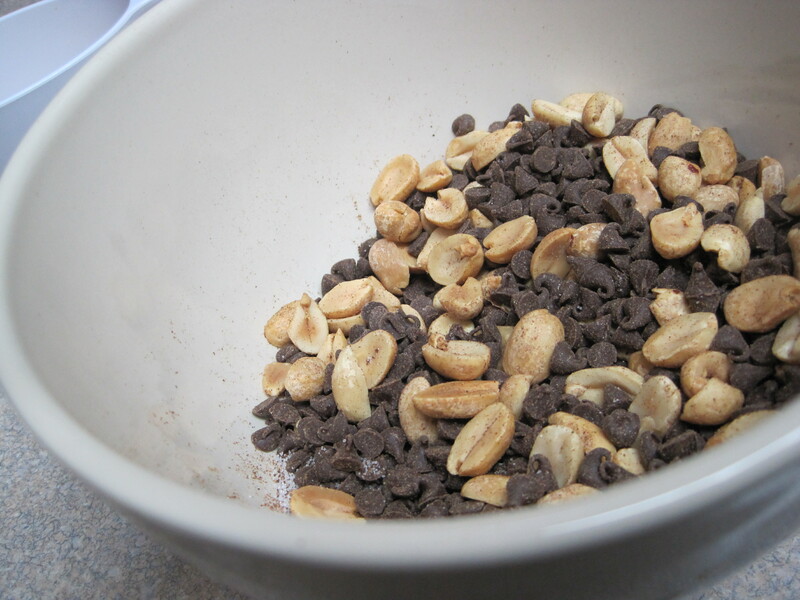 Sprinkle with remaining peanuts and mini chocolate chips. Enjoy! It definitely is 🙂 Thank you! You just so happen to have received the baking and culinary gene from a certain someone so close to you they attended your birth. Or would that be attended too AT your birth. Either way you are becoming every bit the fantastic chef/baker I always knew you would be. Please please please keep the posts coming. Even if I have to enjoy them in cyberspace, it is far better than nothing at all.